A few weeks ago I was at my sister-in-law's house and noticed this really awesome crystallized piece of art. It was actually her daughter's name that had been crystallized, but she said she had done it a couple years back using this recipe and done snowflakes also. I love it when I stumble upon something new and different, plus it's a great way to see science in action. This project does require adult supervision as it uses boiling water and borax (which must not be ingested). A small child could help by stirring the mixture if they can be careful not to splash the hot water. My 5 and 7 year olds did a great job with this part. I did not let my 2 year old do any of the stirring. I found my borax at Wal-mart next to the laundry detergent. 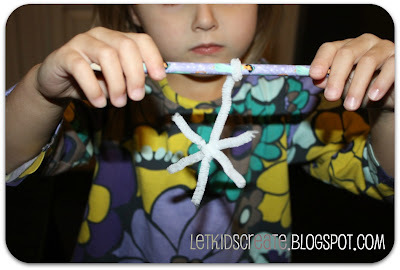 Start by taking your pipe cleaner and cutting and bending it into the desired shape. Here Maisy used a little help in getting this snowflake shape. Be sure to leave a longer piece coming off the top so it will be able to wrap around a pencil. Fill a wide mouth jar with boiling water and add 1 tbsp. of borax at a time, stirring until it's dissolved. You may also opt to tint your water with a little food coloring. It is suggested that you use 3 tbsp. 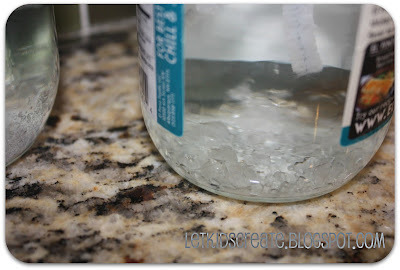 of borax to 1 cup of water. I didn't measure my water and some of my jars seemed to be a little too diluted because the crystals took longer to form or just didn't form as many. Gently lower the pipe cleaner shape into the water and place it somewhere where it can sit undisturbed for an entire day. Yes, patience is needed in order for the crystals to form. 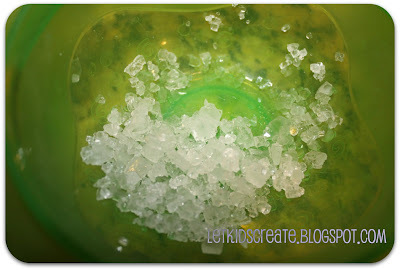 The bottom of the jars eventually became coated in these crystals. I flaked them off the jar after our ornaments were done and saved the crystals. I think they may make a fun addition to a later winter craft project. 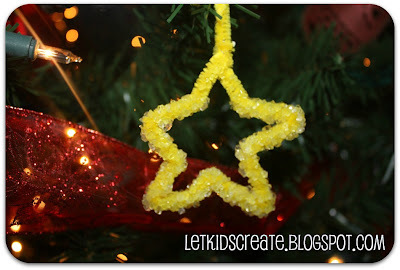 In the summer we made this using borax. 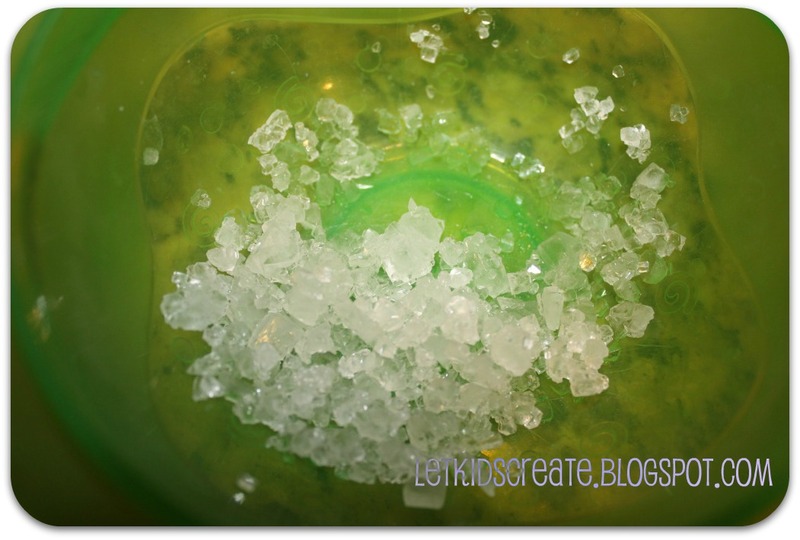 Have you experimented with borax crystals or made crystals in another way? 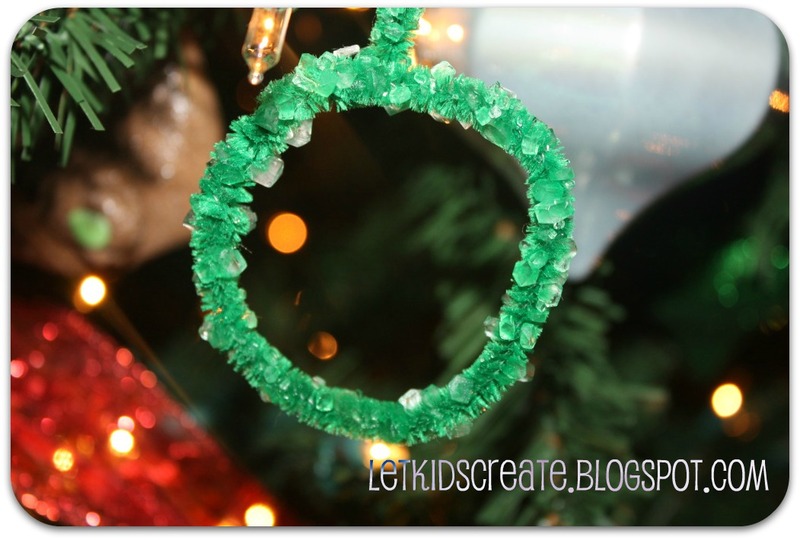 What a fun way of incorporating a little science into Christmas! My kids are too little for this, but I am saving the idea so that we can do it in the future. Thank you for sharing! Very pretty! Science and Christmas - what a winning combination! Love it! 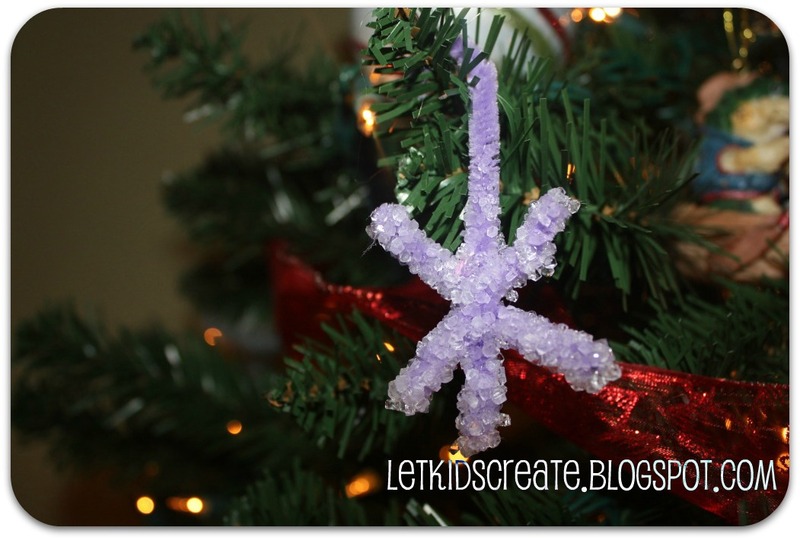 We made Crystal snowflakes last winter using this same method and the kids LOVED it. What a cool ornament! I love science and art together! this is so cool brooke! Gotta try it soon. Maybe when the kids are out of school this winter break. So cool!! Gotta try this! A great winter activity! Love these! We will be making some over the winter! We have a huge box of borax! 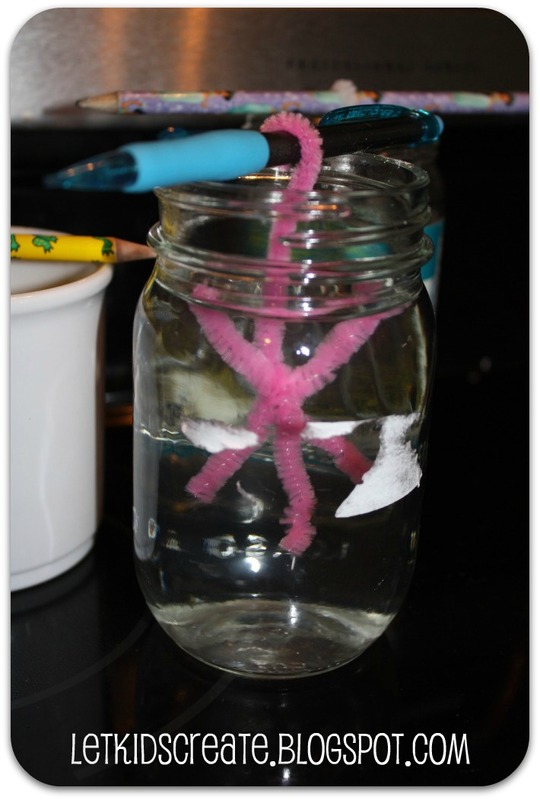 This is a marvelous learning project integrating art and science! We are doing this soon! Great fun and they look fabulous! So lovely!! I need to buy some Borax. What a great idea! thanks for posting! Linking up from sun scholars.